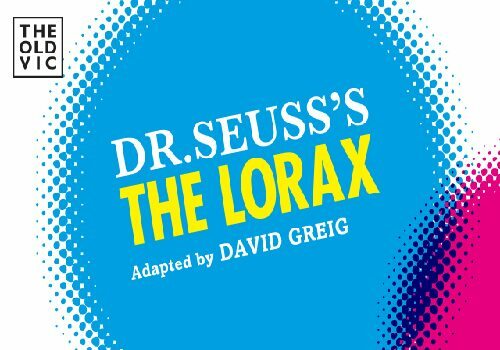 David Greig’s adaptation of Dr Seuss’s classic tale The Lorax will feature as part of Mathew Warchus’ inaugural season as Artistic Director of the Old Vic. The Lorax is brought to the stage by acclaimed Director Max Webster, whose previous credits include James and the Giant Peach, To Kill a Mockingbird and Twelfth Night. Set to open December 16th with previews from December 3rd 2015, The Lorax contributes to a hugely diverse season at the Old Vic. Award-winning playwright David Greig is well-known for his writing in theatre, radio and film. His most notable works include The Events, The Strange Undoing of Prudencia Hart and Dunsinane amongst many others. Greig also wrote the book for Charlie and the Chocolate Factory, which is currently playing at the Theatre Royal Drury Lane. The Lorax tells the tale of a moustached and cantankerous critter who is on a mission to protect the earth from the greedy, tree-chopping businessman known as the Once-ler. The show blends songs, zany design and humour to create a vibrant Christmas show appropriate for audiences of all ages. Designed by Rob Howell, The Lorax is choreographed by Drew McOnie, with music by Charlie Fink, Sound Design by Tom Gibbons and Lighting Design by Jon Clark. Simon Lipkin will star as the title role alongside puppeteers Laura Cubitt and Ben Thompson. Lipkin’s previous theatre credits include Avenue Q, Assassins, I Can’t Sing and Rock of Ages. The Once-ler will be played by Simon Paisley Day with additional cast including Stuart Angell, Thomas Arnold, Miles Barrow, Jack Beale, Caleb Frederick, Emily Houghton, Richard Katz, Anabel Kutay, Melanie La Barrie, Penny Layden, Carly Mercedes Dyer, Ebony Molina. Juma Sharkah, Ben Thompson and Silas Wyatt-Barke. Musicians include Joe Evans and Jo Nichols. The Lorax runs at the Old Vic from December 3rd 2015 to January 16th 2016. Click here for the Old Vic Theatre seating chart and seat price guide.